Rocket Booster: Part 3 | Becoming Star-Lord. 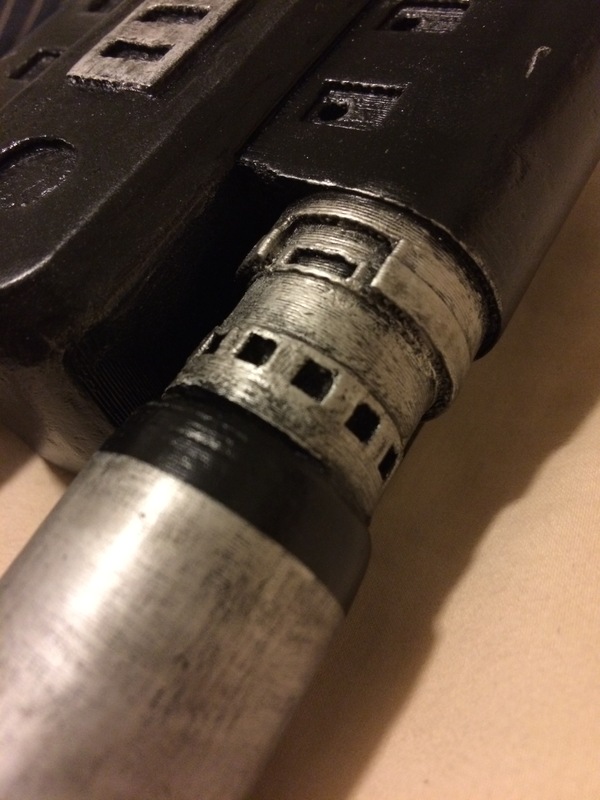 After the paint dried, I used a black wash (black paint mixed with water) to darken the silver and bring out some of the details. It makes it look dirty, old, and used. I then dry-brushed silver rub-n-buff on the edges and raised surfaces. If this booster were real, black paint would have rubbed off on these areas. 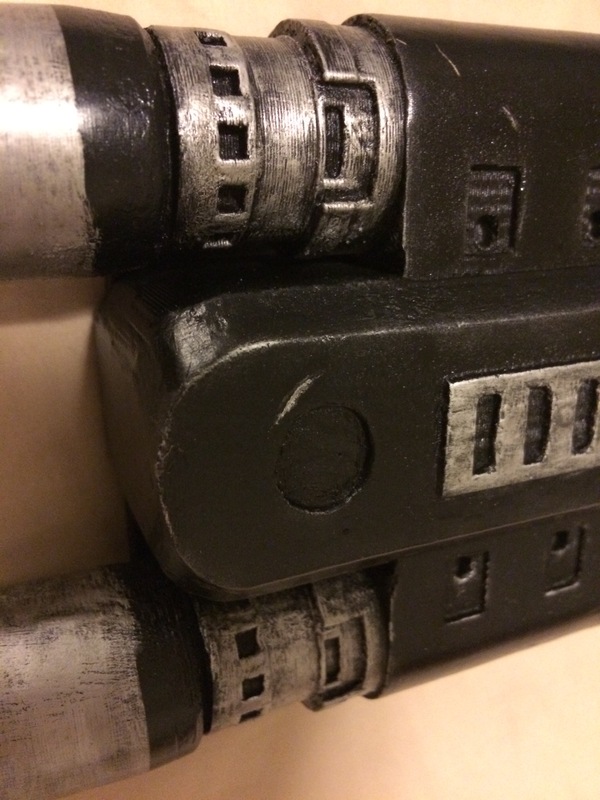 To further add to the used look (and replicate the screen used prop), I gashed the black paint in a couple of places and then filled in the gash with silver paint. This was designed to simulate the booster being dinged and battered during use. To finish it off, I applied a clear layer of Deft (Satin Finish) in order to protect the paint job. Here’s the progression, from start to finish. I would love to hear thoughts, comments, and suggestions. Leave them below! 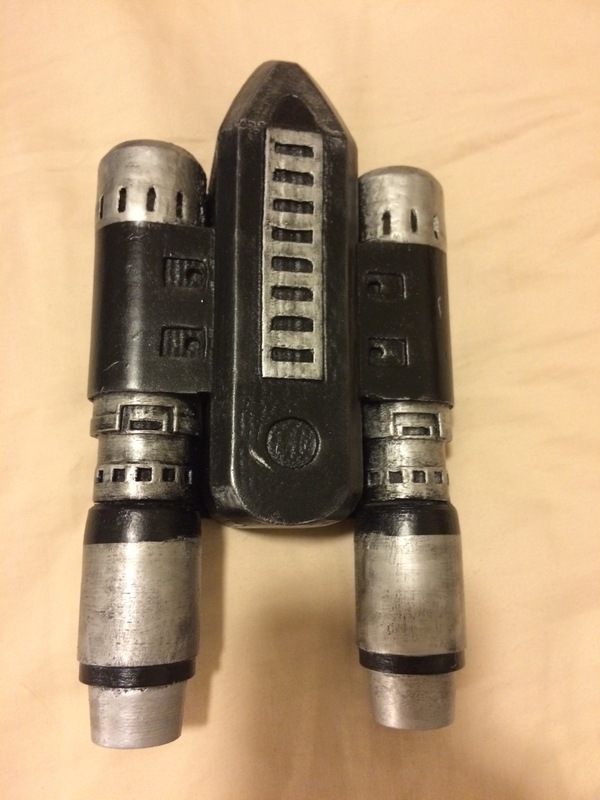 This entry was posted in Uncategorized and tagged 3D printing, charity, Chris Pratt, cosplay, costume, disney, fundraising, guardians of the galaxy, Marvel, props, rocket booster, Star-Lord, Starlord, Superhero, toys on July 7, 2015 by Liam.